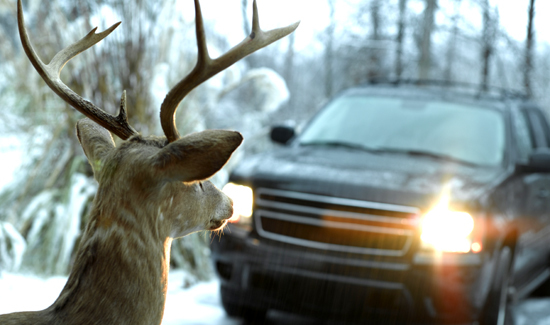 According to TV newsmagazine Inside Edition, a deer on a rampage recently managed to get his antlers stuck in a sheriff’s vehicle’s wheel well. Thankfully, authorities were able to tranquilize the animal. It’s unclear if the deer had rabies, but according to the experts, it’s a really good idea to stay clear of a large buck when he’s worked up enough to charge police vehicles.